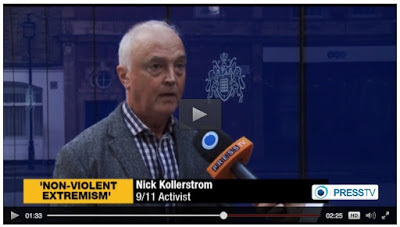 Nick Kollerstrom on “terror in Tunisia”: Another false flag? This show broadcasts on July 1, 2015. The Brits were staying in the Imperial Marhaba Hotel. Cameron tells us who did it. Comparison with 7/7, near to 10th anniversary – 27 June: Foreign Minister Tobias Ellwood said it was “the most significant terrorist attack on the British people” since the London 7/7 bombings in 2005. The Islamic State claimed responsibility for the attack at the Imperial Marhaba hotel, according to SITE Intelligence Group. There is always something very fishy when Rita Katzs’ SITE Intelligence Group is involved. SITE are the group that discovered all the Al-Qaeda/Bin Laden videos, the Foley be-heading video & all things ‘TERROR’ related, that play into the ‘official narratives’. This entry was posted on Tuesday, June 30th, 2015 at 10:30 am	and is filed under 9/11, Anti-War, Censorship-Propaganda, Death Squads, False Flag/Fake Terror, Freedom, Justice, Kevin Barrett, News, Protest. You can follow any responses to this entry through the RSS 2.0 feed.